US Marshal Brass - Henry Rifle - Wellington LTD. Built on a Henry .45LC cal. 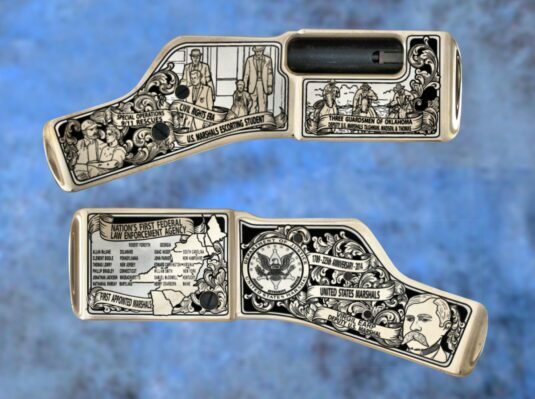 carbine, the brass receiver and wood on this edition are richly engraved in jewelry grade nickel with scenes taken directly from the U.S. Marshals historic past. 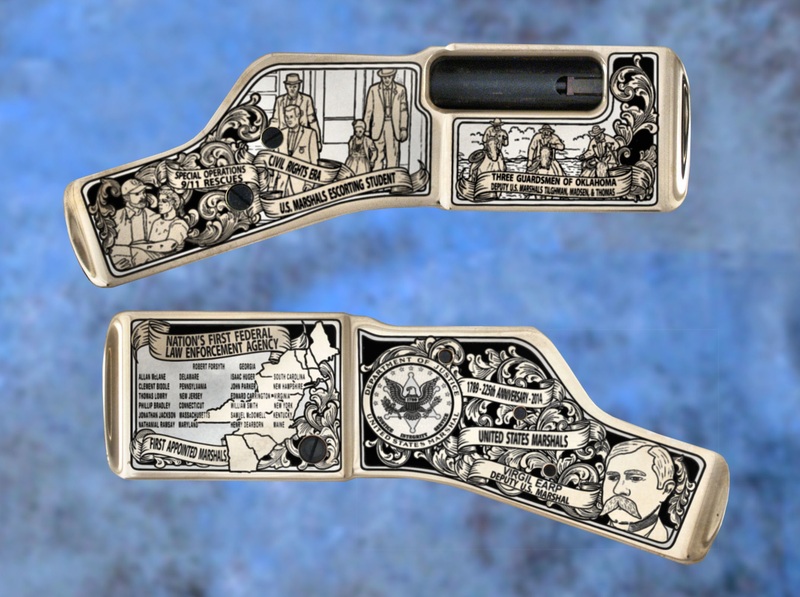 Images pay tribute to, among others, Virgil Earp, Deputy U.S. Marshal, Tombstone, Arizona, 1879 – 1881, Deputy U.S. Marshals Tilghman, Madsen, & Thomas, the famed ‘Three Guardsmen Of Oklahoma’, the U.S. 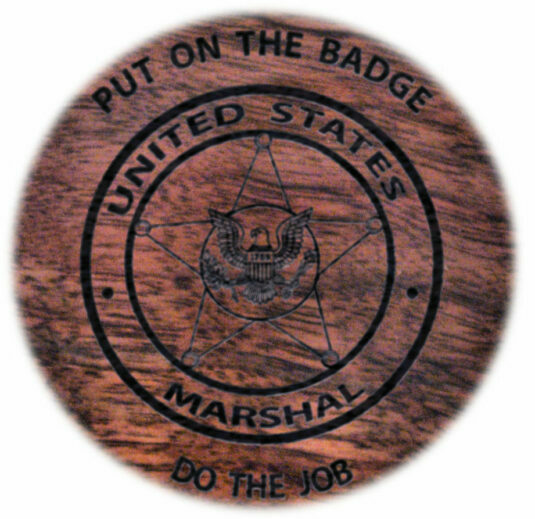 Marshals role during the Civil Rights Era, going so far as to protect young Ruby Bridges as she went to school during these challenging times. Other images speak to the service’s growing roles in modern times and the response during the September 11th attacks. These images show clearly how Marshals have lived to their motto, “Justice, Integrity, Service” or as some like to say it “Put On Badge – Do The Job”.